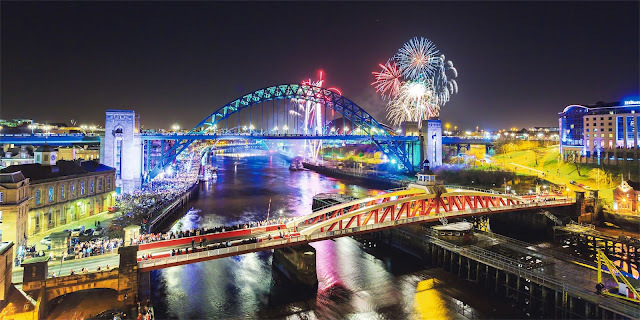 the geordie times online (newcastle united archive fanzine): "HAPPY NEW YEAR TO AALL WOR NEW REEDERS!" We declined their ridiculous offer and told them to drop in and see us sometime---(addin' that we live in the River Tyne!) and went to 'blogspot' instead---which iz FREE! Unfortunately, because the old site went doon, reeeders thought it must be finished for good and we have lost three qwaataaz of wor regulars because of this! The old site got approx. 4,000 hits per month, whereaz the new one iz just above the 900 pageviews per month az we speak! The pageview total for 'geordietimes.com' waz 241,856 before it went doon! 241,856 + 1,717 = 243,663 az we speeek! For example, we have to save the old archive stuff to 'draft'--then save it to a 'text document'--then we have to save it to a 'word document', before deleatin' loads of rubbish (meaningless words, arrows etc!) Even then we cant move pictures ower and must do it individually, which teks ages! "PLEEEZE! tell everyone yoo know" aboot the new web address and have a very happy new year and hope (against hope!) that we are back in' the big time' come next August!